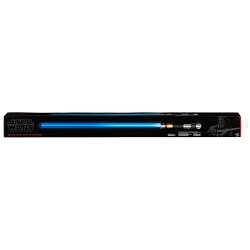 Kids and fans alike can imagine the biggest battles and missions in the Star Wars saga with lightsabers from The Black Series! With exquisite features and decoration, this series embodies the quality and realism that Star Wars devotees love. Epitomize the power of the Force with the Obi-Wan Kenobi Force FX Lightsaber from Star Wars The Black Series, modeled after the Jedi Obi-Wan Kenobi’s lightsaber from Star Wars: A New Hope. Like all Black Series lightsabers, the Obi-Wan Kenobi Force FX Lightsaber features accelerometer technology for battle sounds and clashing effects, as well as a light-up blade that powers up and powers down in authentic, movie-inspired lightsaber fashion. A true-to-story replica of Obi-Wan Kenobi’s iconic blue lightsaber from Star Wars: A New Hope, this authentically-designed lightsaber is complemented by a real metal hilt and a clear display stand for ultimate collectability. 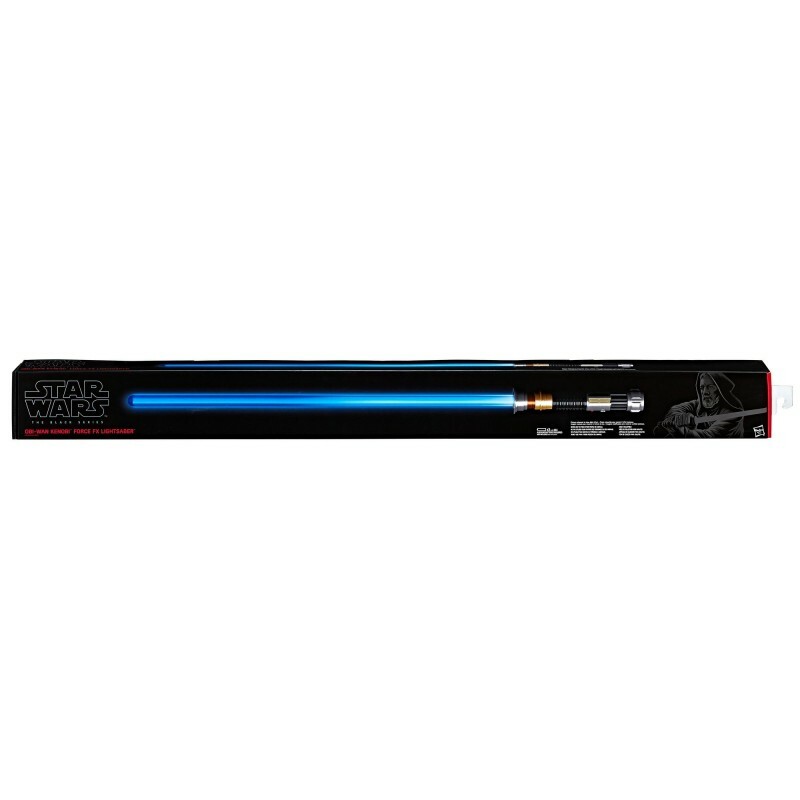 Commemorate exciting scenes from Star Wars with this Obi-Wan Kenobi Force FX Lightsaber and other incredible items from Star Wars The Black Series. • CAUTION: Never use to strike other people or animals. • x3 1.5V AA Alkaline Batteries required.NOT INCLUDED.